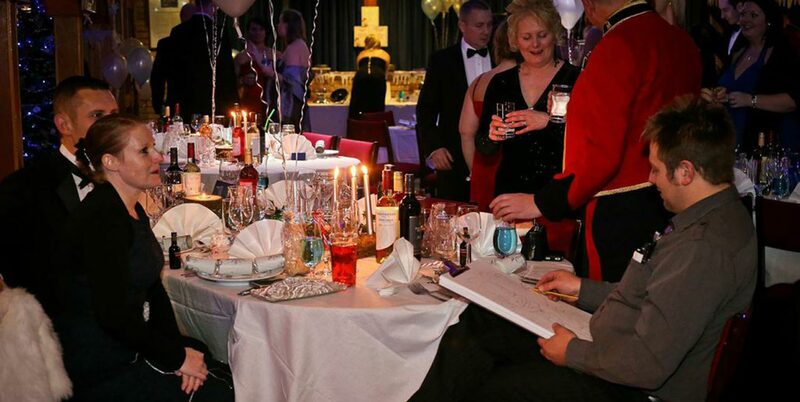 There are some regular questions that are asked by clients when bookings and inquiring for an event and I thought it useful therefore to have a this Frequently asked Questions as a helpful guide. 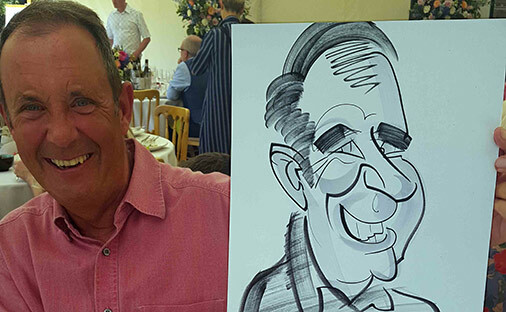 It’s possible to get a great likeness in a few stokes, however most people like their caricature with a little more detail and draw a caricature every 4-5 minutes. That’s 11-15 an hour depending on the circumstances and how well behaved guests are. 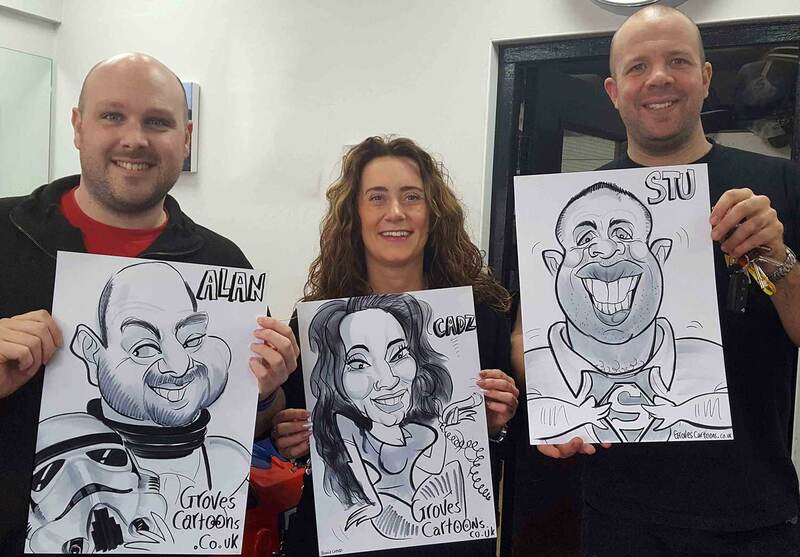 Caricatures are on A3 for greater impact. Do you move around or stay in one place? 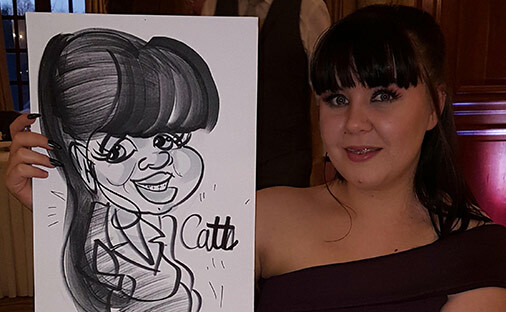 Are the drawings free or do you charge per caricature? It’s best to email me your date and location of your event for me to give you a more accurate quote. I often do more than one event in a day, and might logistically be nearby. I also give a discount to week day events. I feel my quotes are reasonable and competitive, so please just email for a quote and to check for availability. As well as filling in an online booking form, I ask for a deposit of £50.00 to hold and secure the date unless otherwise arranged. Once the deposit is deposited you will receive a receipt and invoice, and the remaining amount can be paid anytime from the day you book until the day. Only intentionally! 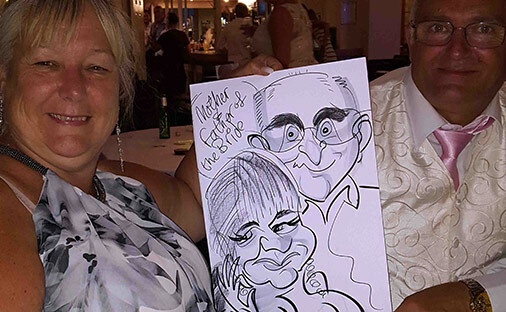 Nah – In general I try and make the caricatures flattering. I don’t wish to upset anyone. However, every now and again, I can’t resist making it a more extreme exaggeration.